The Indiana State Literacy Association and International Literacy Association have several awards or grants that members and councils may receive. 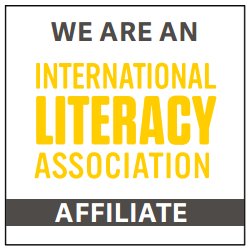 The Indiana State Literacy Association annually recognizes local councils that organize and conduct well-rounded programs serving the council members, the community, the state/provincial council, and the International Literacy Association. These grants are suspended until further notice pending available funding. Local, student and special interest ILA chapters apply for this award that recognizes well-rounded programs serving the chapter members, the community, the state/provincial association or affiliate, and ILA.